For your entertainment needs there are numerous opportunities, both indoor and outdoor. The sauna, hot tub and ideal for spending time in, even if the weather outside is bad. For those sunny days that prevail, there is the opportunity to fish, jog, hike, ride a bike or ATV, sunbathe around the pool, of just sit on the porch enjoying your favorite drink with a book at hand. Sports’ fishing is possible at a lake two kilometers away used for professional fishing and another lake which can be used for both canoeing and fishing. For those of you who are into motorized action we offer off-road experiences with a 4×4 pickup truck with extra seats for afternoon nature exploration. 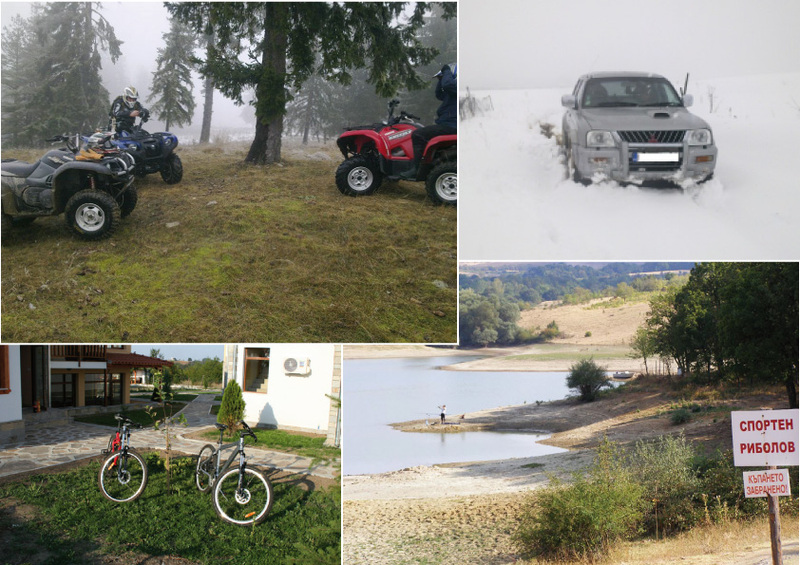 Also we offer All Terrain Vehicles (ATVs) which are again 4x4s so they can be used in any type of weather, snow, sun or rain. Nicodia estate also has mountain bikes that are available for use free of charge, so you can explore the area while pedaling on a high-class bike.